Why is it that very few people would consider installing a new sewer line or adding a 2nd floor addition themselves without professional help, and yet so many people are quick to try taking a chance on going for sale by owner with their home and selling their family’s biggest investment on their own? I’m not saying you can’t sell your home on your own – of course you can! Many people have successfully sold their home without professional help. But there are a multitude of serious problems that occur in real estate sales. Money pit nightmares, lawsuits, and lost money, (paying way too much or receiving way too little) are not at all uncommon. Without experts to guide you, you may not even realize if you are being taken advantage of. Selling a house is not the same as selling furniture on Kijiji! Fact is – you don’t know what you don’t know. When you go for sale by owner, you can go online and see what other people are asking for their homes but without access to accurate Regina MLS data on how much those homes are selling for, it can be very difficult to determine the actual current market value of your home. 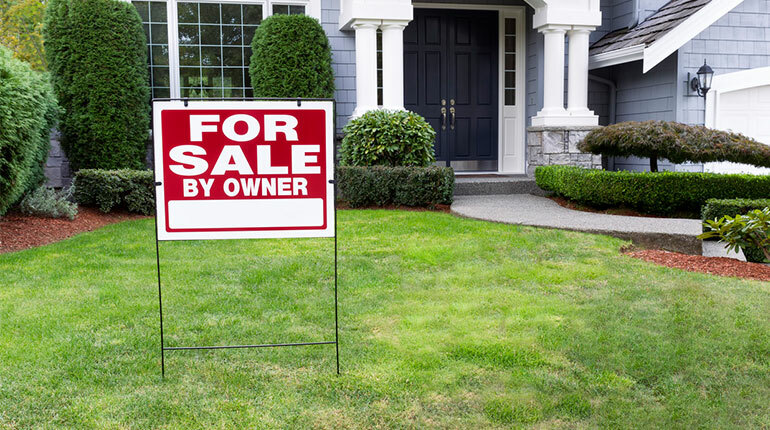 You could pay to hire an appraiser to get a value but that doesn’t paint the whole picture. Houses very rarely sell at appraised value. Inclining/declining prices, inventory, and other market trends can have a significant impact on what your home is worth. When handling a sale on your own make sure you budget for all the time you’ll need to invest. Buyers want to see homes on their schedule and if you’re going to go for sale by owner then you’re the one responsible for showings. That may mean even having to take time off work to do so. You also need to invest time in marketing, photography or videos, writing ads, hosting open houses, responding to buyers, following up, buyers not showing up, etc. not to mention the time it takes to keep the house and yard spotless and shining so you’re ready for those showings (that hopefully occur). Also consider that the longer your home is on the market, the less likely it is that you can achieve your asking price. Stale product is not nearly as attractive to buyers as a hot new listing. When you advertise your home for sale by owner you are literally inviting any person that’s interested to come into your private home to have a look around at all your stuff. Some of those people have less then pure motives, some of them can’t rub 2 nickels together, and some of them are just plain snoopy. Interviewing buyer prospects in the office (not just meeting them at the house), getting copies of their ID, not conducting showings alone, and pre-qualifying prospects through a good mortgage broker are some of the techniques agents use to attain more piece of mind. You may be an excellent negotiator when it comes to buying a car but hiring a 3rd party negotiator who is at arm’s length in a real estate transaction can save you money. When it’s YOUR house where YOUR kids grew up and YOU planted the apple tree in the backyard, that sentimentality can have a detrimental effect on your ability to negotiate. It can get even tougher if the buyer is coming armed with a buyer’s agent to negotiate for them and you don’t have someone in your corner. Having your property listed by a REALTOR® on the MLS® system and in turn on Realtor.ca is the best way to expose a property for sale both to buyers and to the agents who represent them. According to the Canadian Real Estate Association’s 2016 annual report there were 246 MILLION visits to the website and the app in 2016. Where Do For Sale By Owner Sellers Find Their Buyers? According to the National Association of REALTORS® over 85% of homebuyers use an agent to buy a home. That means that even if you are not represented by an agent as a seller, there is a very good chance that the buyer for your home is working with an agent. Think of all the agents that get buyers referred to them, or someone who has just sold and is now using the same agent to buy, or the out of town home buyers – they aren’t checking the for sale by owner websites. They tell their REALTOR® what they are looking for and the agent arranges the showings so when the buyer gets to town for their home buying trip they might go through 20 properties in 2 days and then make an offer. The chance that they’ll see your property that isn’t in the MLS database is very slim. If you want to avoid losing out on that 85% of buyers who are working with an agent then you’ll want to offer a good buyer’s agent commission which is likely at least half of what you would have paid to have an agent look after the whole situation from start to finish. There are some unrepresented buyers out there, however you should know that often the reason buyers shop for sale by owner properties is so that they can save that same commission money that the seller is trying to save. This is the buyer that will bring you the dreaded “lowball” offer. When that happens, try sharing this article with them on how to write a good offer. Between the average listing and real estate sale transaction an agent will process about 15 different forms designed to protect the best interests of the parties to the transaction. If you are wanting to tackle the selling process alone, then it’s probably in your best interest to take the time to learn as much as you can about it. Investigate how an option clause works, how long should it take to remove conditions, who holds the deposit and how much it should be, how to deal with land titles (ISC) , what you can be held liable for and for how long, and exactly what you are or are not legally required to disclose about your property. If you do want to learn all that then maybe you want to take it a step further and study to become a real estate agent yourself! A real estate transaction can require many different experts even if you aren’t using a REALTOR®. Expect to work with lawyers, home inspectors, appraisers, stagers, mortgage specialists, contractors, or whoever else you might need to get the job done. Make sure you have a budget set aside to handle any unexpected surprises they may throw your way. Now if you’ve made it to the end of this list and you’re thinking “I can handle that all on my own – no problem”, then you might be that right person who can go it alone. Good luck! On the other hand, if you consider all these factors and you’re second guessing things, then let us know that you’d like some help and we can arrange for a seller’s consultation meeting to discuss what we can do to help!